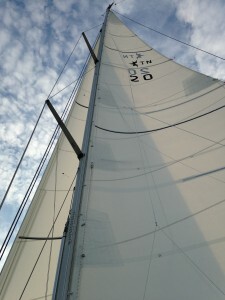 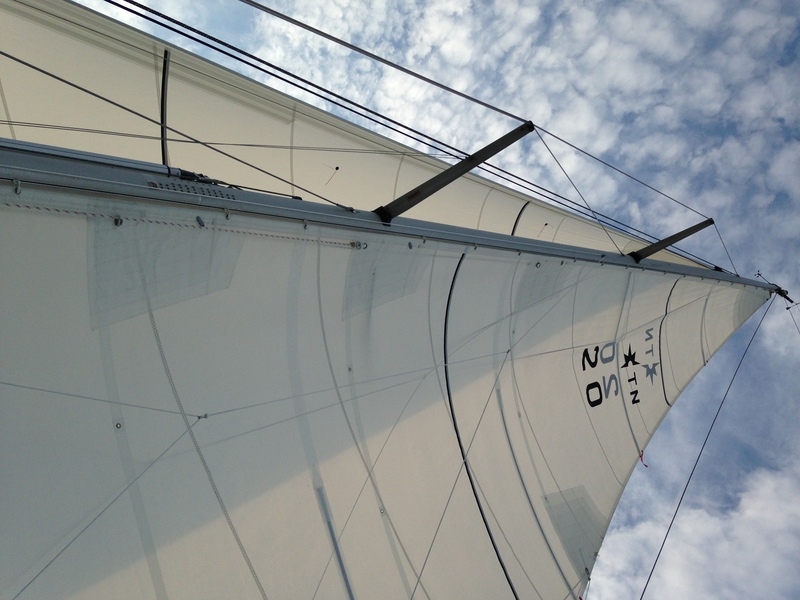 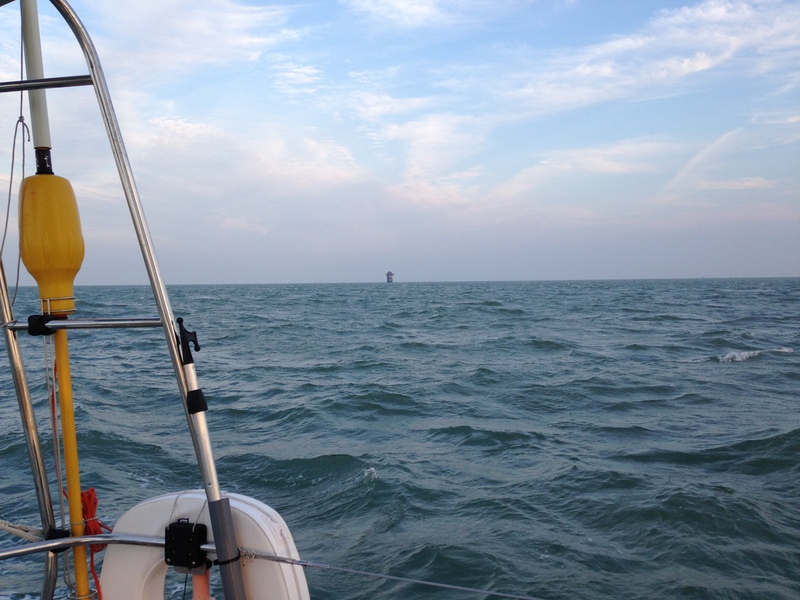 11th September and a reefed main and staysail out to NE Gunfleet before shaking out the reefs for the sail, off the wind, down Barrow Deep. 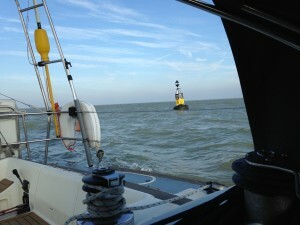 Very little traffic apart from a visit from northbound HMS Vigilant. 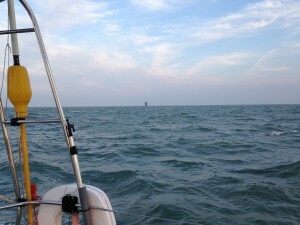 We were not boarded, they just observed us before she continued north. 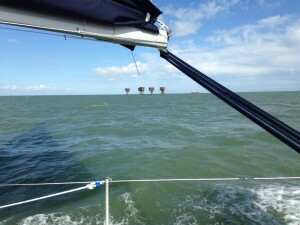 ….no more alien than our own ‘Roughs’ but an alien none the less! 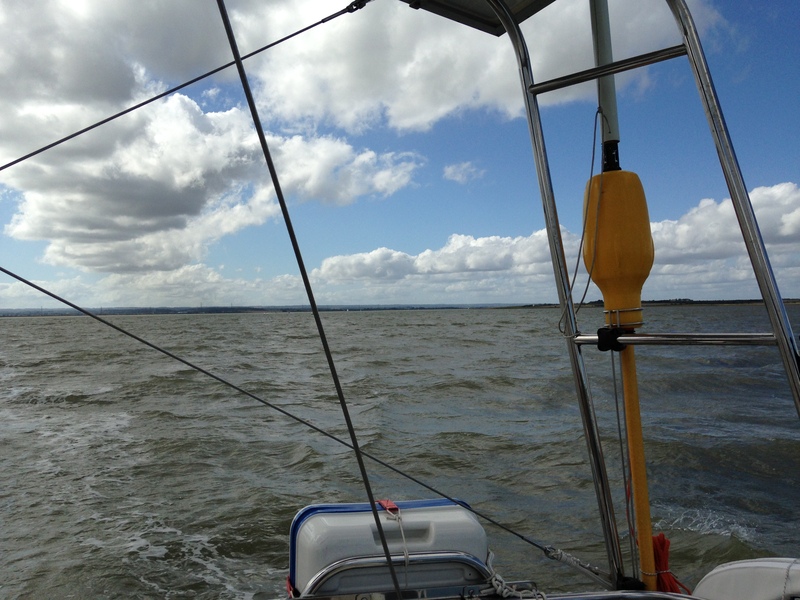 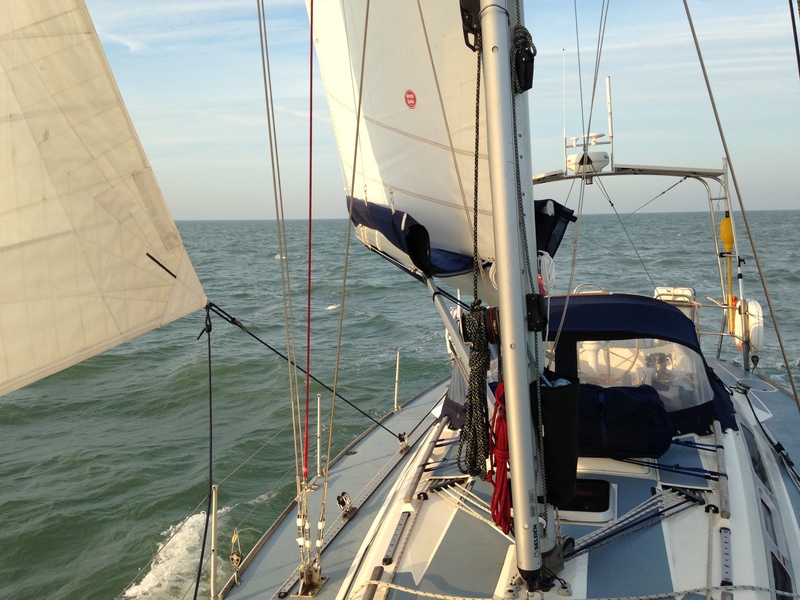 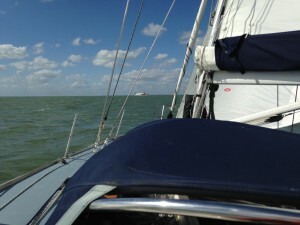 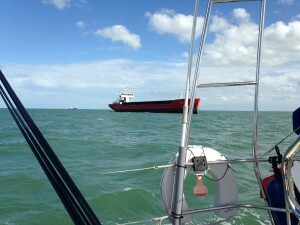 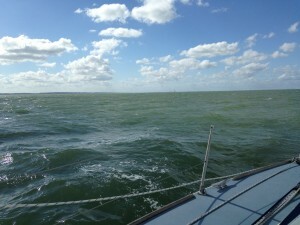 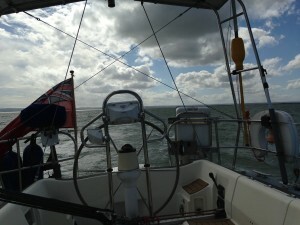 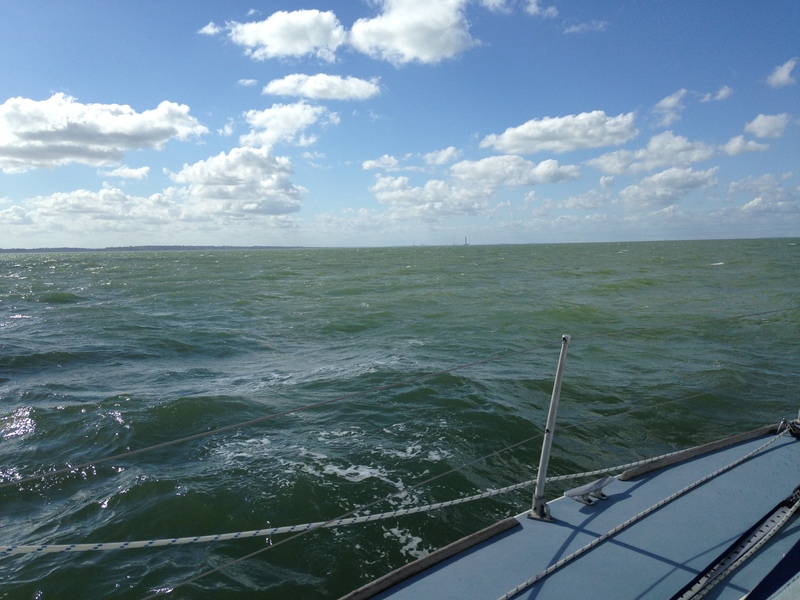 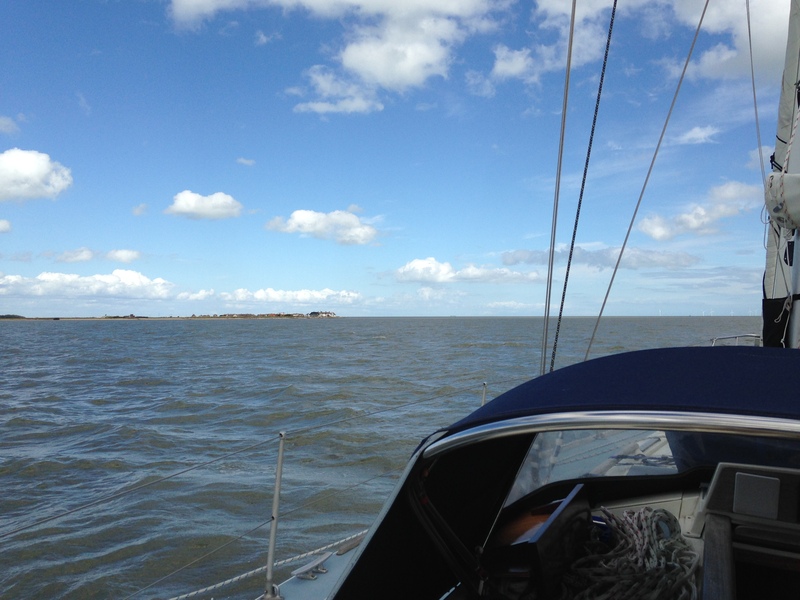 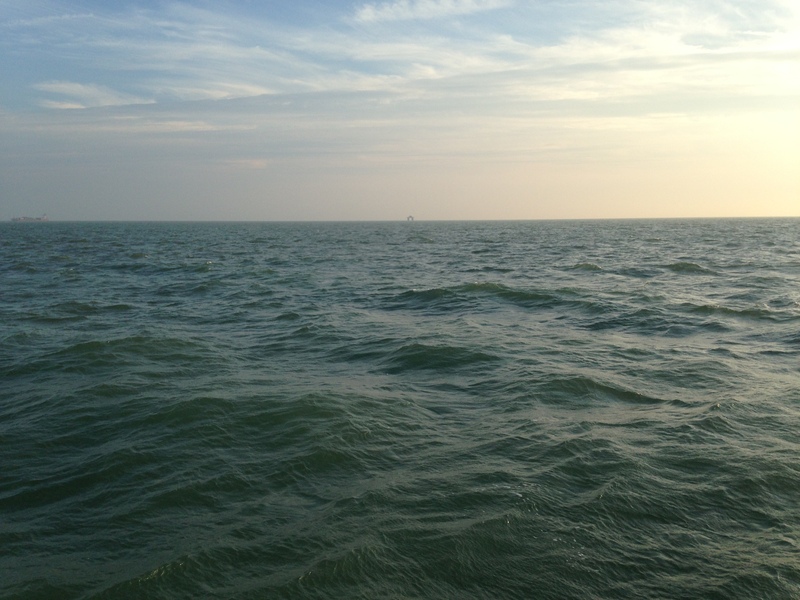 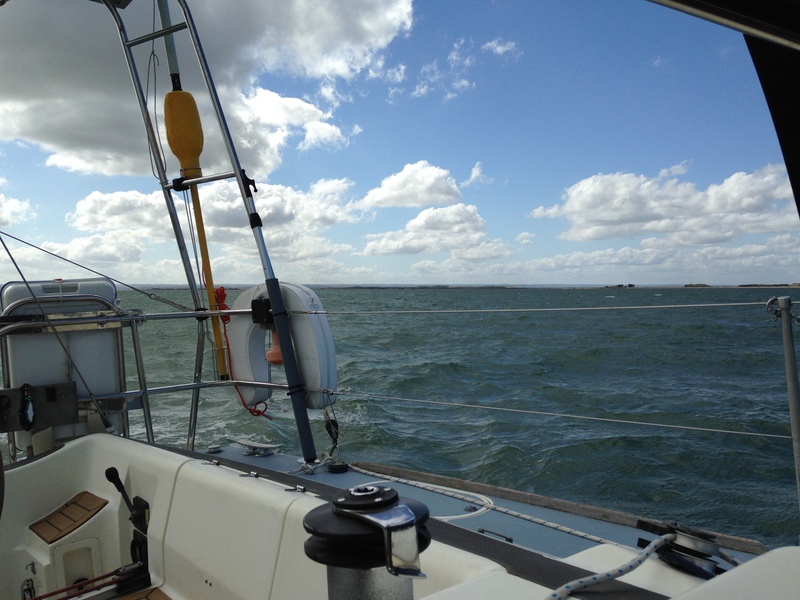 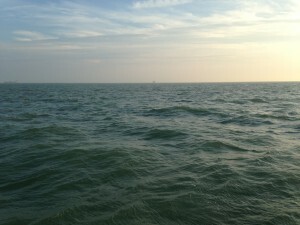 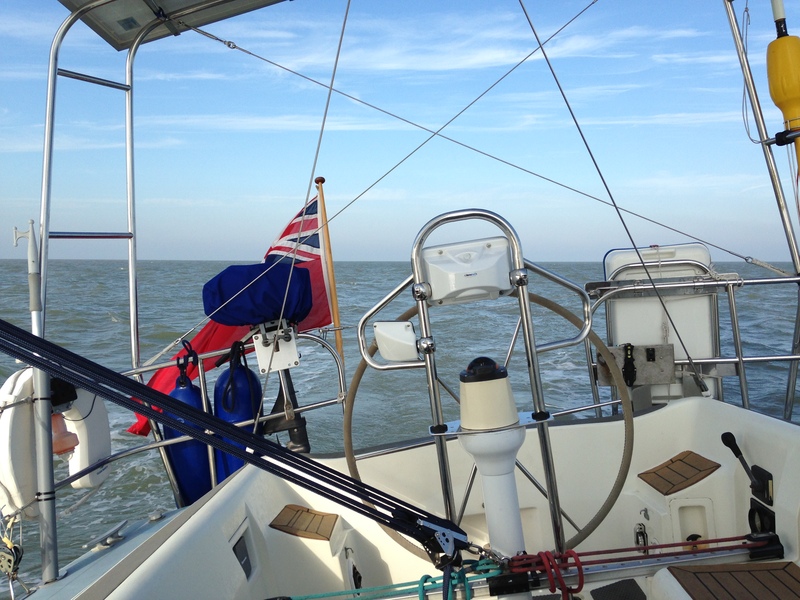 And winds are strong for the return to The Orwell from the S and SW..
Just past Maplin starboard and fair following winds…. 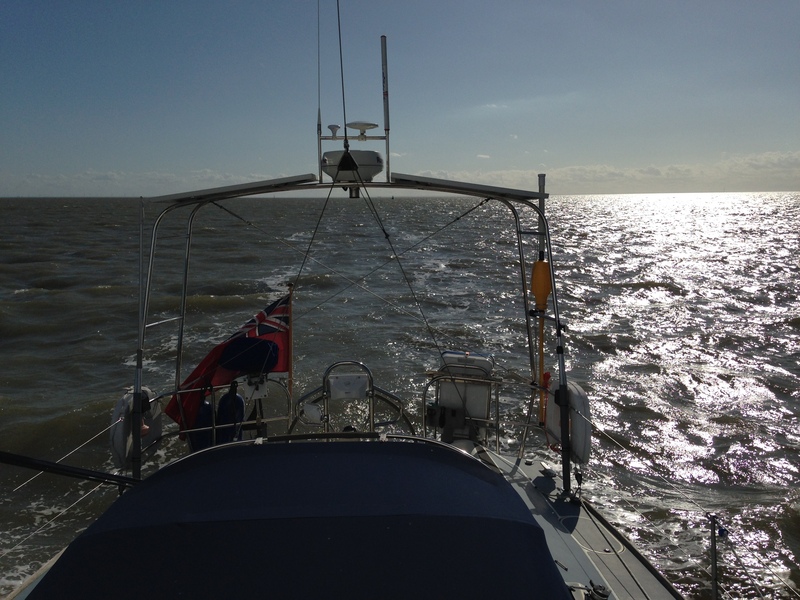 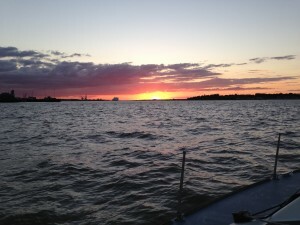 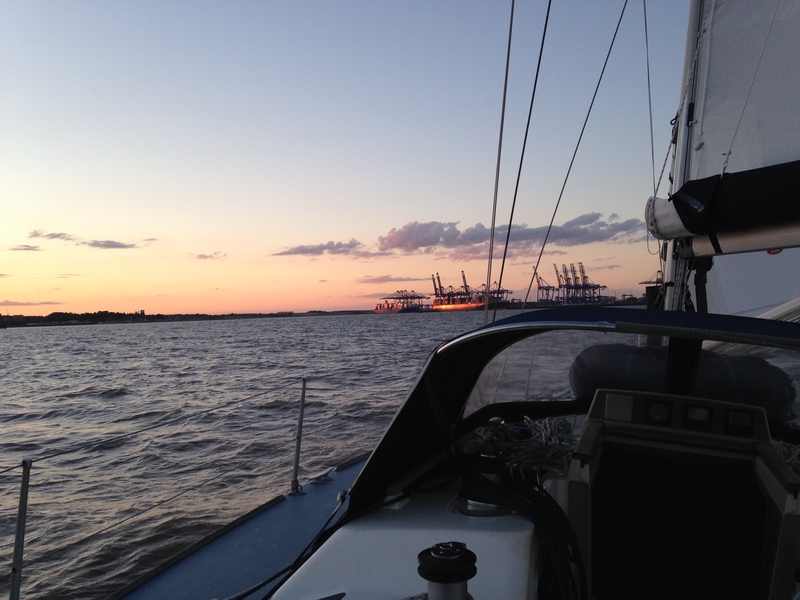 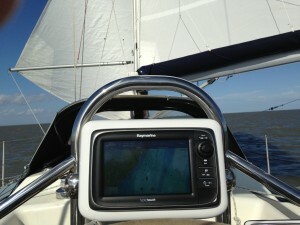 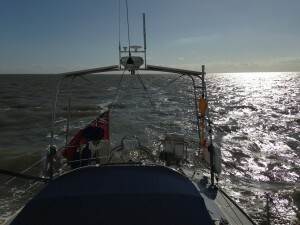 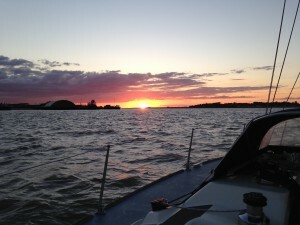 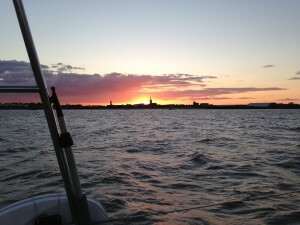 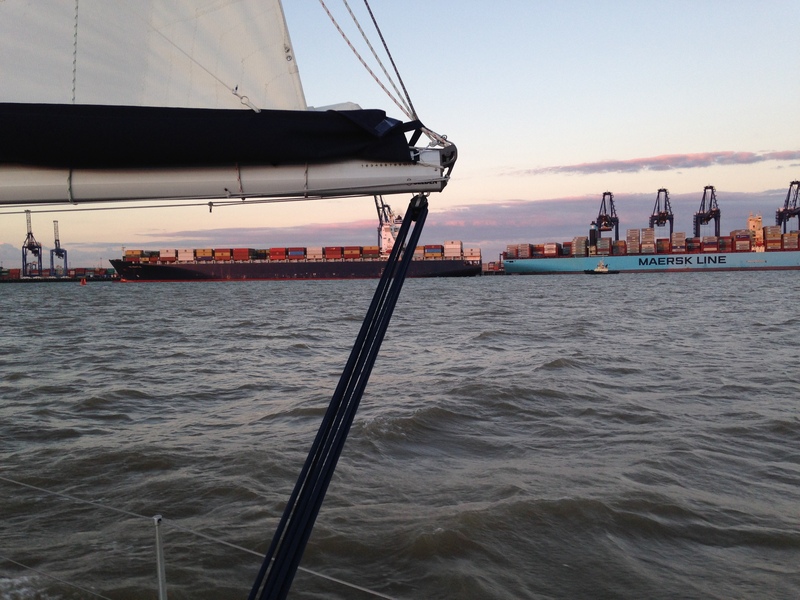 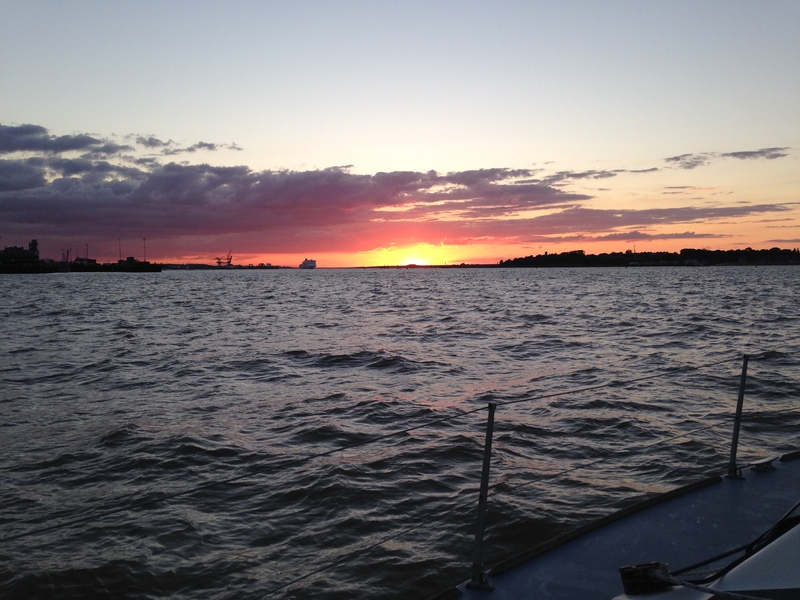 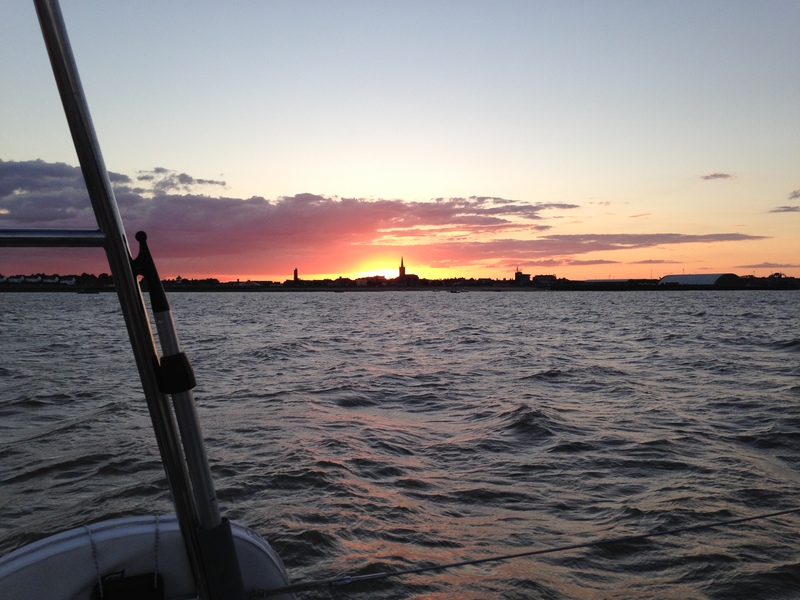 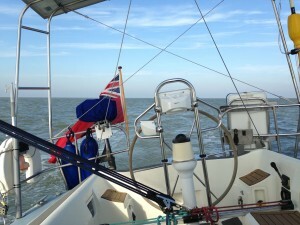 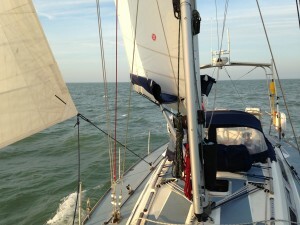 Sun setting over Harwich and still sailing….